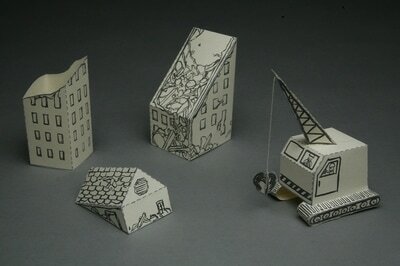 Inspired by paper toys of the past, Build Your Own Demolition Site is designed to be cut and assembled to play with. However, in contrast to the typical toy culture where children are encourage to build and construct, this paper toy becomes a demolition site - three building structures in varying degrees of destruction and a wrecking ball. 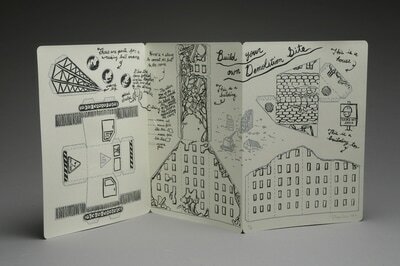 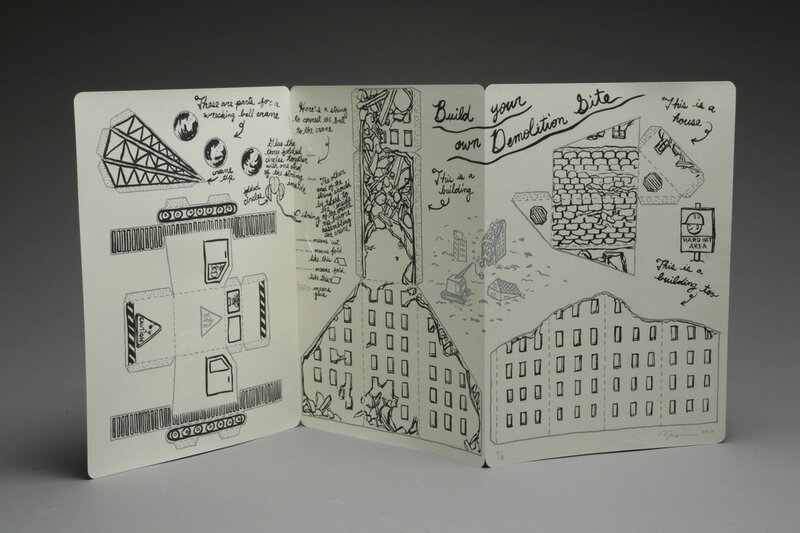 This print was part of a print portfolio titled Plans Not Included organized by artist Christa Dalien.